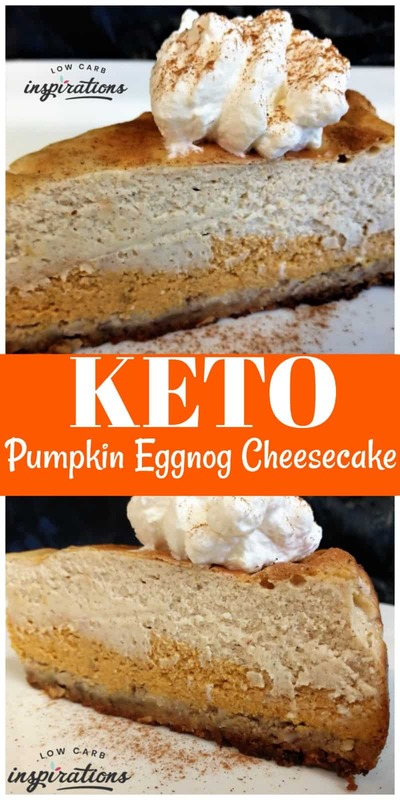 If you want to seriously impress your family & friends with a Keto/Low Carb dessert this holiday season, this Keto Pumpkin Eggnog Layered Cheesecake Recipe is going to be it!! I’m not even going to lie to you, this dessert requires planning ahead, time and dedication… BUT is 150% worth it! 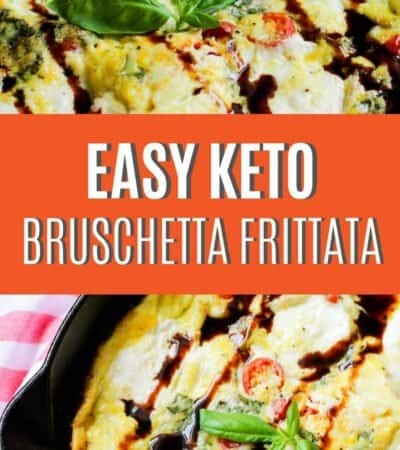 This is not your everyday typical kind of recipe. 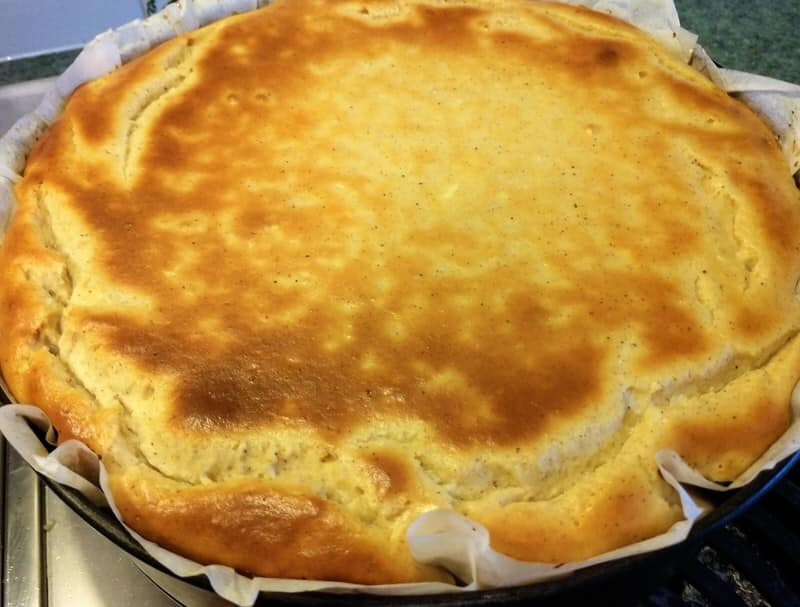 Cheesecake is a delicate work of art and I feel very confident that my creation is now the BEST Keto/Low Carb holiday recipe out there. This dessert is a BEAST. 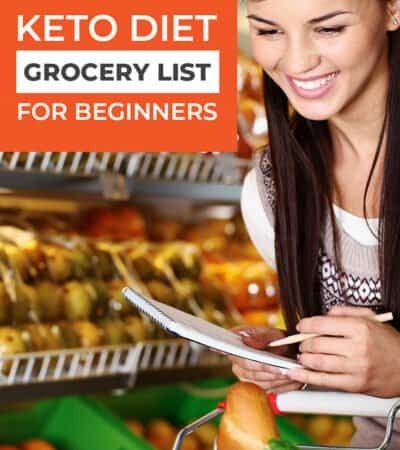 It is time-consuming and has many ingredients. Don’t let this intimidate you. I am simply a home cook, with a lot of great ideas- NOT a master baker. 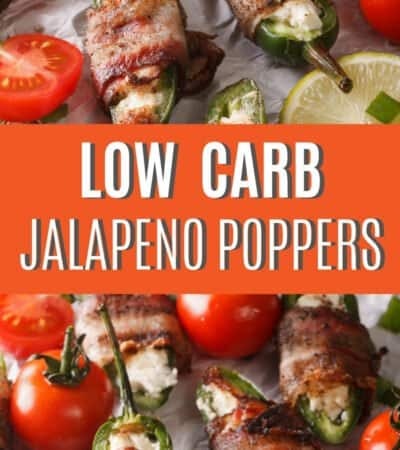 If I can pull off such an amazing recipe, BELIEVE ME, you can too! 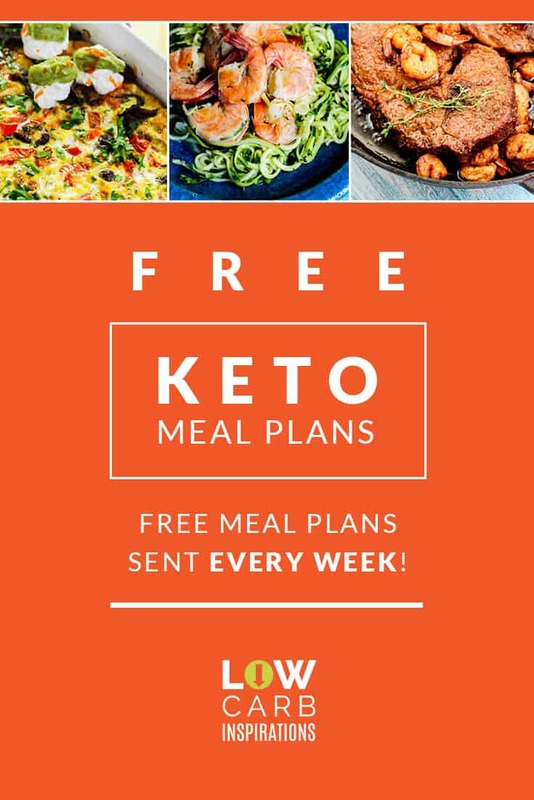 Back before my days of living a Keto lifestyle… crazy flavored cheesecakes were my mastery. All different kinds. Fruit, nuts, chocolate, extracts, ganache, drizzles. Oh, the list goes on. 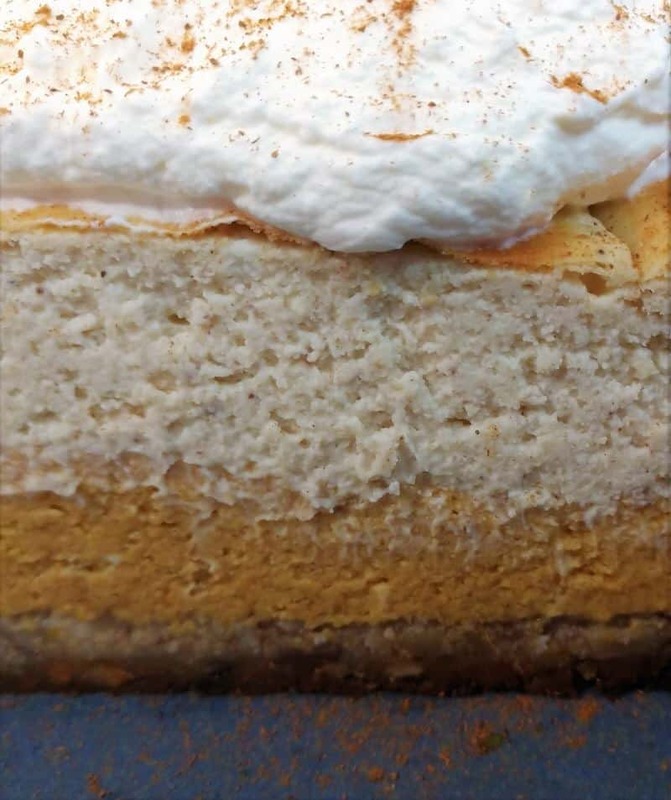 My husband’s ABSOLUTE favorite was the pumpkin eggnog layered. Hands down. Of course, to follow suit with all things in my life, I was up for the challenge. 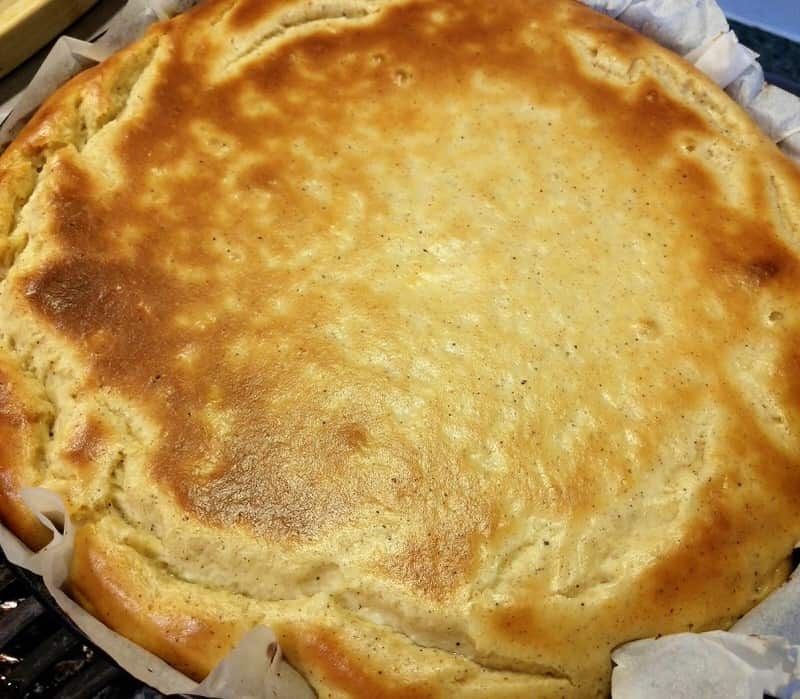 The nice part about cheesecake, is most of the ingredients are already Keto/LC friendly! After a bit of research, pulling out my old recipes (on paper) and digging in- The write up began. This recipe evolved over the course of a few days. 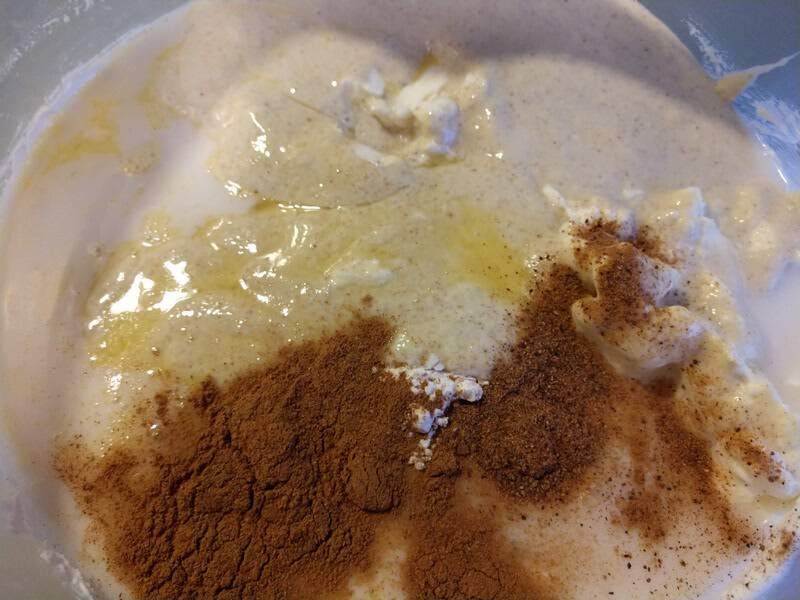 First, I cooked up my version of Keto Pumpkin Spiced Eggnog. 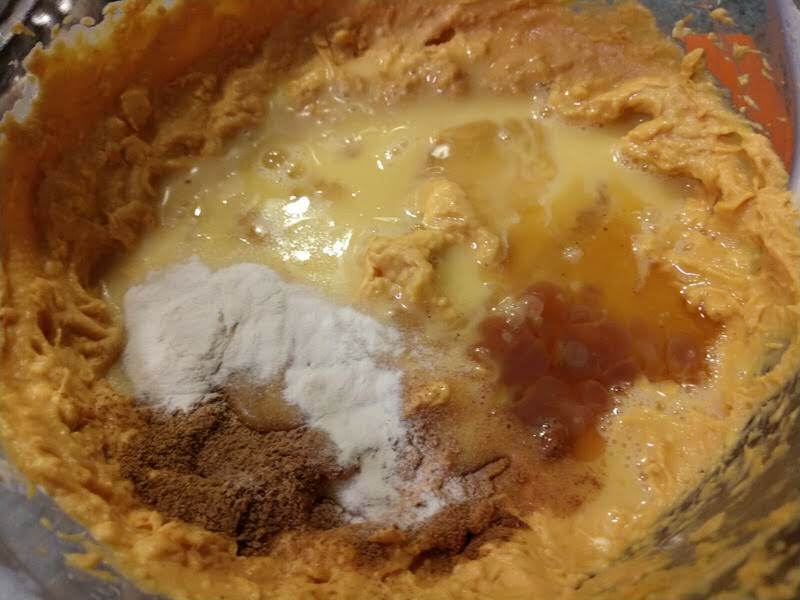 Let that chill overnight, then started with the cheesecake base. Now, if you just wanted to make that to drink (click the link), there you go! 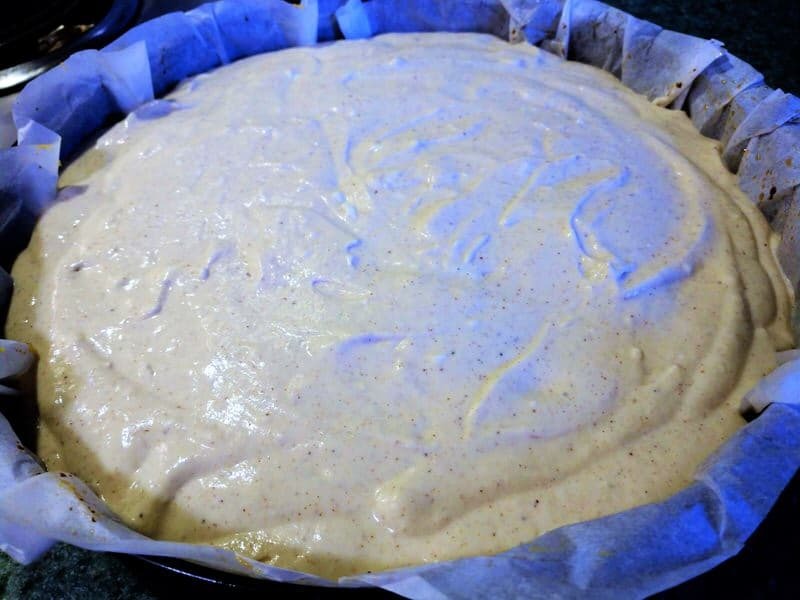 The next step, the eggnog is a new recipe, I used 2 cups of that and whipped up the first test of a cheesecake layer. My family taste tested that finished product and approved. 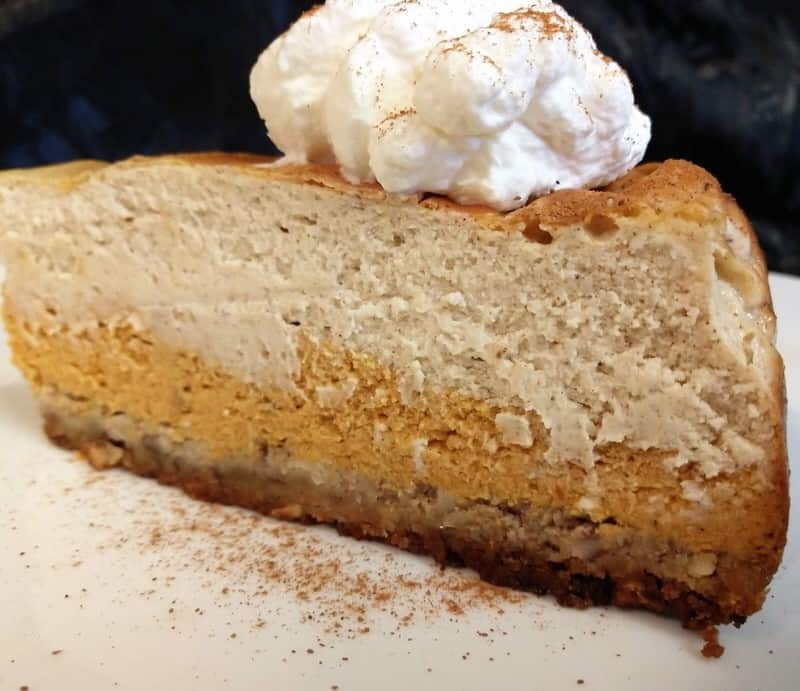 I already knew the pumpkin layer of this was on point, so all I had to do was add it ALL together. The last (easy) step was just combining a tasty crust for the bottom. No problem! Now, that I walked you through all of that, doesn’t sound so bad, right?! It’s really just a matter of prepping ahead, layering and baking! Now, I will also note- Make sure when you pull it out of the oven, let it cool at least an hour before moving to the fridge and DO NOT cover it. Doing this will ensure that there isn’t trapped moisture and it doesn’t get soggy. 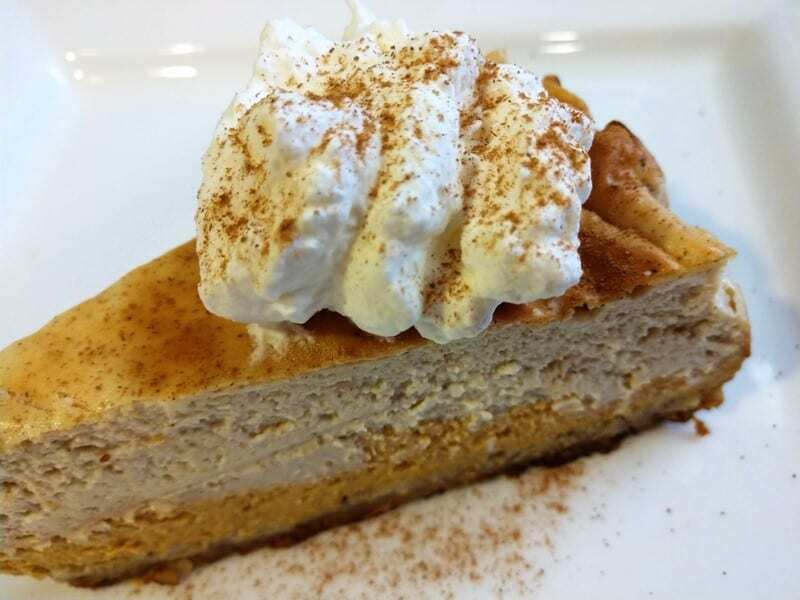 Make ahead- Keto Pumpkin Spiced Eggnog recipe. Measure out 8 oz, 16 oz. 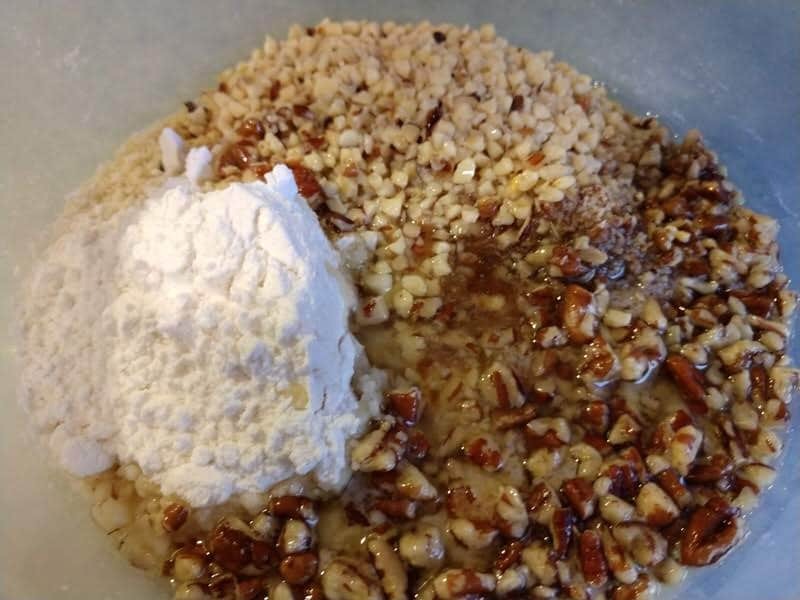 Cream cheese separately, leave out to soften. Line 10” springform pan with parchment paper, creasing into the edge. Bake for 16 minutes. Let cool for 10 minutes. 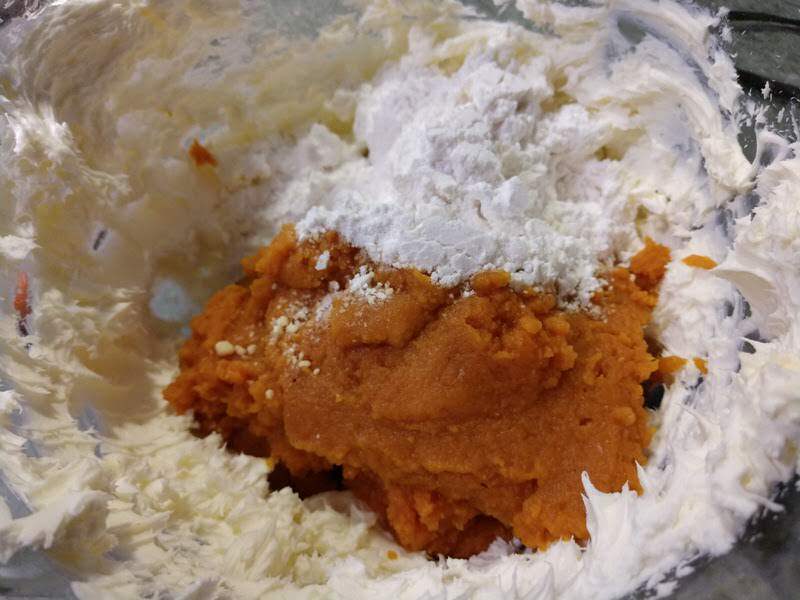 In a large bowl- Mix all Pumpkin Filling layer ingredients with a hand mixer until well blended. 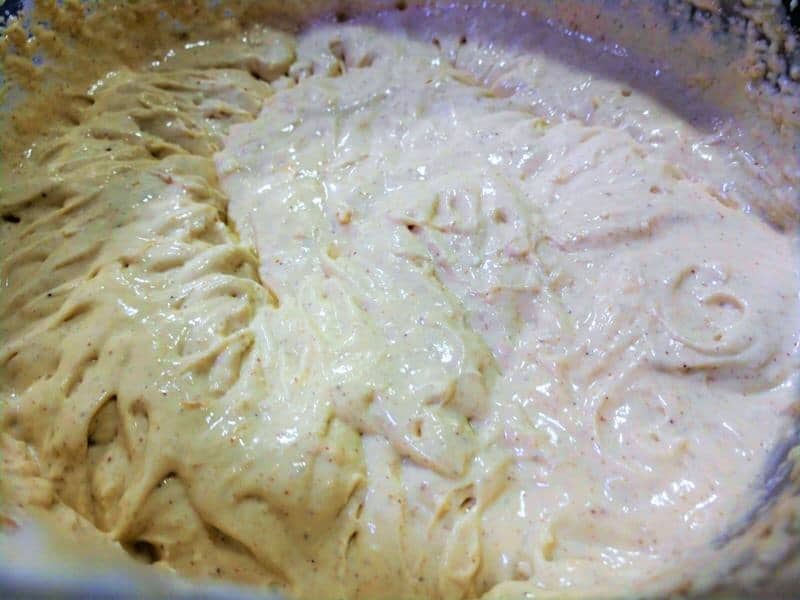 In another large bowl- Mix all Eggnog Filling Layer ingredients until well blended. 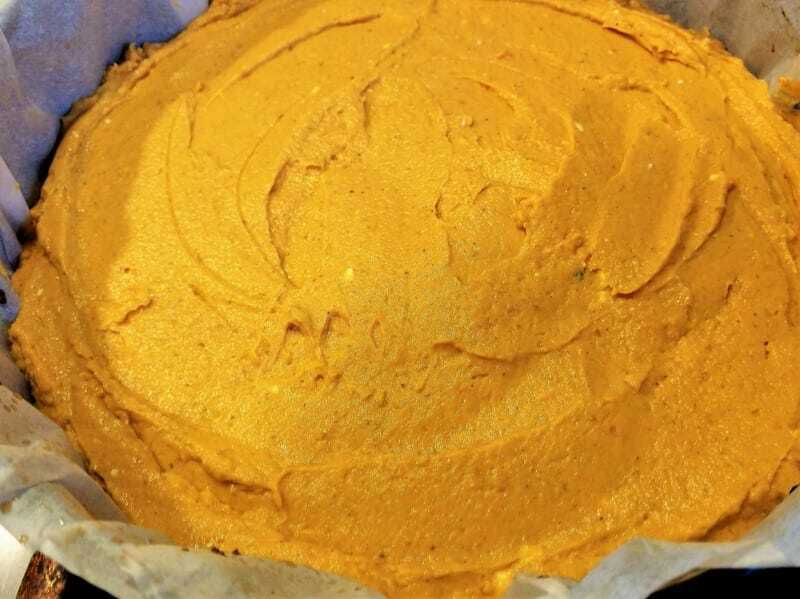 Pour Pumpkin Filling onto the crust, spread evenly. Then layer Eggnog Filling over top spread out until smooth. Lightly tap on the counter (careful, it will be heavy), to release trapped air bubbles. 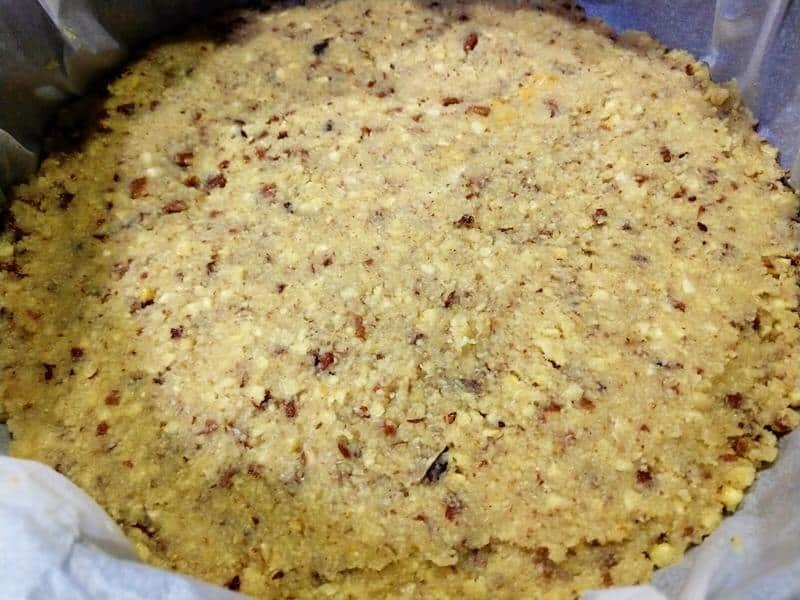 Bake for 70 minutes. Put out on the counter to cool for 1 hr. DO NOT cover. After cooled, put in the fridge uncovered for 4 hrs or overnight. Do not release springform until set. This recipe fills a 10” springform pan. It is definitely a LARGE dessert. Make sure when you pull it out of the oven, let it cool at least an hour before moving to the fridge and DO NOT cover it. Doing this will ensure that there isn’t trapped moisture and it doesn’t get soggy. *Sugar Alcohols are not accounted for in the nutrition panel. 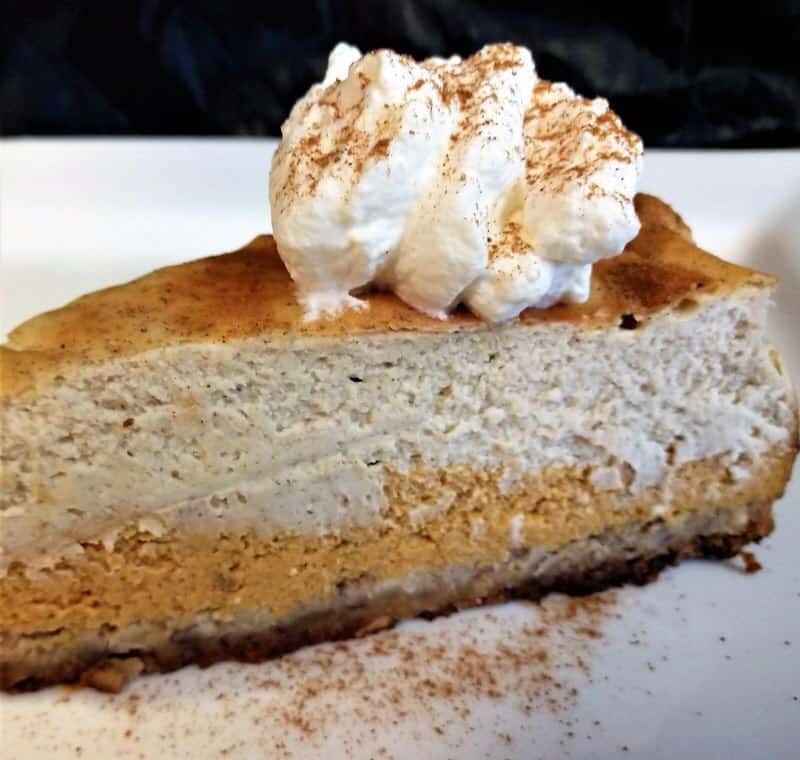 If you LOVE cheesecakes as much as I do, you'll want to check out this Keto Cheesecake Recipe also! 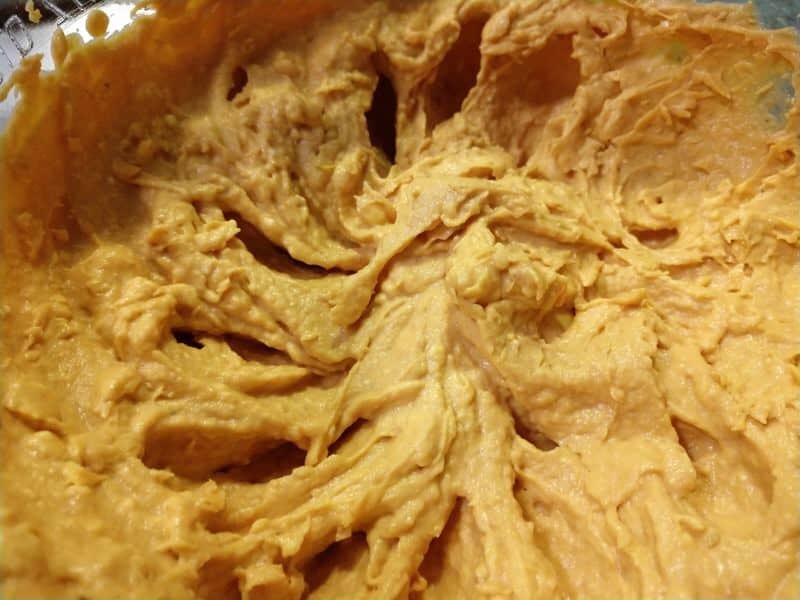 In a large bowl- Mix all Pumpkin Filling layer ingredients with a hand mixer until blended. Then layer Eggnog Filling over top, spread out until smooth. Bake for 70 minutes. Put out on counter to cool for 1 hr. DO NOT cover. This recipe fills a 10” springform pan. It is definitely a LARGE dessert. Make sure when you pull it out of the oven, let it cool at least an hour before moving to the fridge and DO NOT cover it. Doing this, will ensure that there isn’t trapped moisture and it doesn’t get soggy. 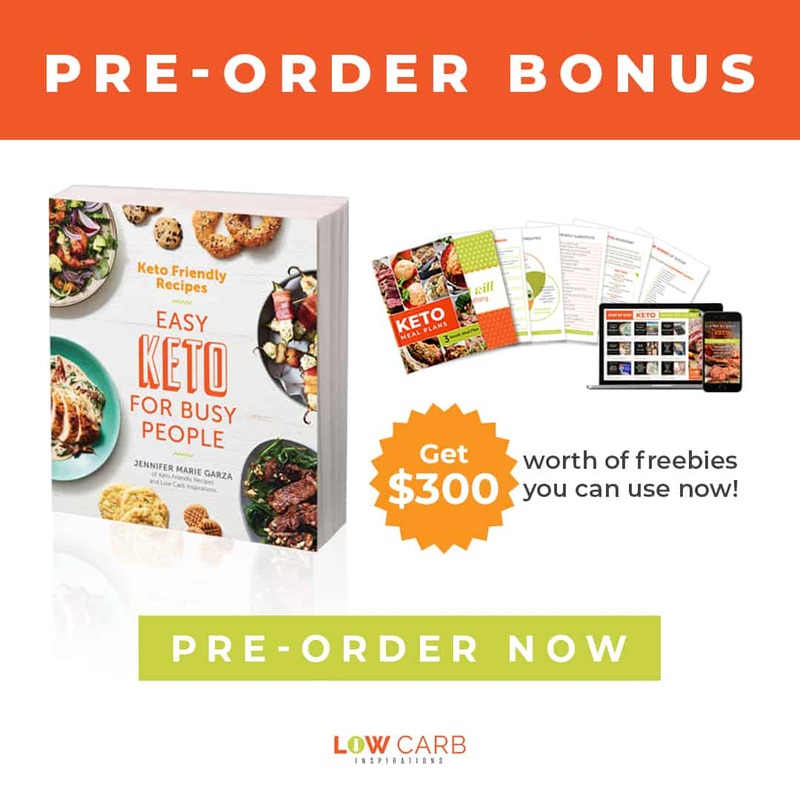 Nutrition per serving Calories 348, Total C 32g, Fiber 2g, Net C 5g, SA 25g, Fat 32g, Protein 8g *Sugar Alcohols are not accounted for in the nutrition panel. I made this for Thanksgiving and it was so good! I couldn’t even tell it didn’t don’t have sugar in it. 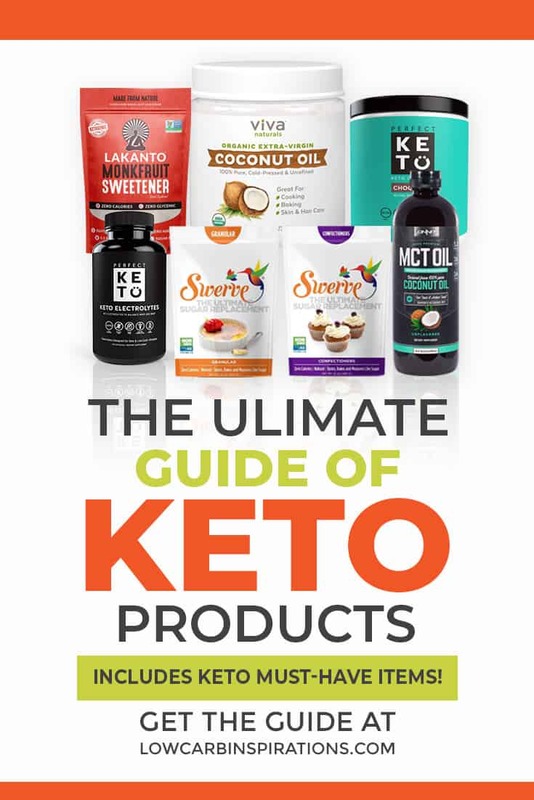 I prefer Truvia (stevia) over the swerve, can I substitute the swerve for stevia?